I hope you have all had a wonderful half term break. It was very much needed by children and staff alike after such a long half term. The final week before we broke up was so busy. Both Year 4 classes treated us to two fantastic class assemblies- our first of the year. They set the bar very high! We also had our first praise assemblies of the year where children from each class were surprised with praise awards from their teachers. So many beautiful and creative poppies have flooded in too; I can only imagine how many more will arrive tomorrow! Our display is going to look stunning. Don't forget, you will also be able to purchase poppies and other remembrance goods in school all week. Today, the staff have been back in school for an INSET day. We joined with our colleagues from Pedmore CE Primary and Church of the Ascension CE Primary to enjoy a very engaging day's training delivered by Jonathon Lear. He inspired us with some exciting ideas for delivering the curriculum. Just ask your teachers about monkeys and Little Miss Sunshine and see what they have to say! We are looking forward to welcoming you all back to school tomorrow. 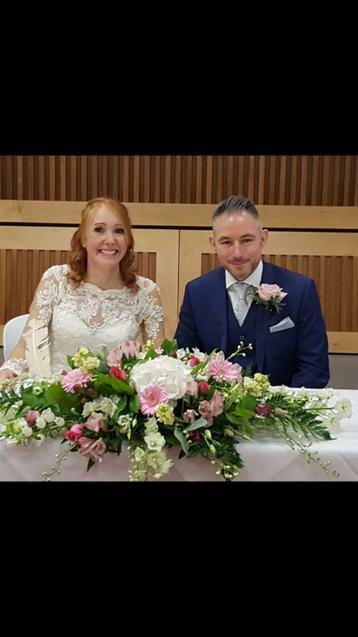 May I also take this opportunity to welcome Mrs Melia in Reception.....no, not a new member of staff, it is in fact Miss Cross who got married during half term. Congratulations Mrs Melia- we wish you and Mr Melia love, luck and happiness!